Interning at NLIHC is a rewarding experience for students and recent graduates. NLIHC brings on policy, research, field, communications, and operations interns throughout the year. One perk of interning at NLIHC is the opportunity to attend events on the Hill. 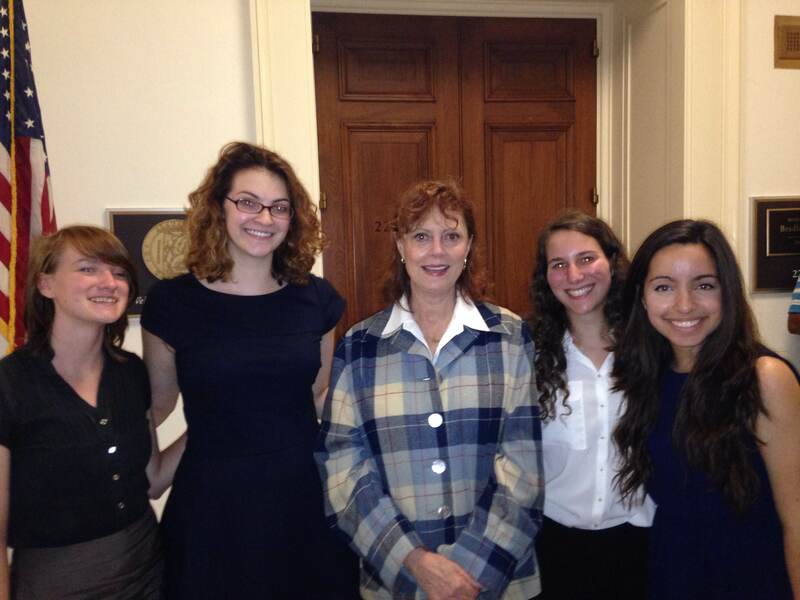 This Wednesday, our summer interns attended a Congressional Homelessness Caucus Briefing on Violence Against the Homeless, where they snagged a picture with Special Guest Susan Sarandon. Left to right: Research Intern Shaina Castonguay; Policy Intern Francine Glaser; Susan Sarandon; Operations Intern Aliza Cohen; Field Intern Pilar Alatorre. Stay tuned for blog posts from our current interns and more about the internship opportunities at NLIHC!